Since its beginnings in 1983, WEX Inc. has expanded the scope of its business into a multi-channel provider of corporate payment solutions representing more than 11 million vehicles and offering payment security and control across a wide spectrum of industries. Headquartered in South Portland, Maine, WEX serves a global set of customers and partners and has over 10 international WEX offices. The organization’s governing board of directors is comprised 10 directors who provide strategic direction and expertise on advancing WEX’s core goals. 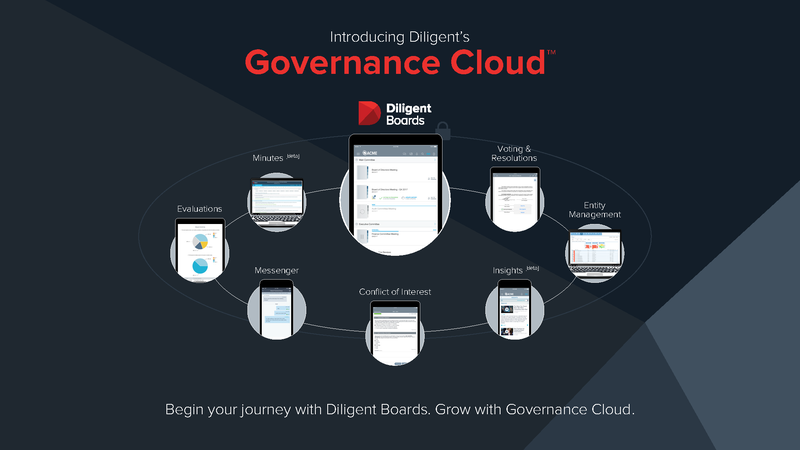 Before partnering with Diligent, the WEX board of directors used a quasi-board portal built in-house to help move the board and its administrator team away from paper board packs. While it was a step in the right digital direction, this approach created numerous obstacles. The WEX board of directors are comprised of directors who travel a lot and often internationally. Unfortunately, the rudimentary board portal did not provide the mobility and accessibility needed. Wiessner and his team researched board portal solutions on the market and looked closely at five solution providers. Now, with Diligent Boards in place, the WEX board of directors and board administration team are all empowered with a secure, intuitive, and accessible board governance management platform. “Our directors have the convenience, speed and advantages of having the board books supplemented without collating through stacks of papers,” explains Wiessner. Sometimes it’s also the unseen benefits that improve board-related processes. Wiessner explains that Diligent’s ease of use proves how intuitive and well-built the solution is. “Diligent allows me to disperse any size of information to any or all of my directors in a convenient way and for them to access the information anywhere,” he says. While WEX continues to partner with Diligent, they recommend boards not only to consider Diligent for their technology, but for the best-in-class customer service.